Why are our governments failing us so badly? Perhaps that should be rephrased declaratively: Our governments ARE failing us badly. In fact, it’s becoming increasingly difficult to see what useful purpose they have for the citizenry. Especially given how much of our money they insist on taking – for themselves, and for the central bank loans our taxes support, and an otherwise elitist agenda they promote. And then they turn round and tell us we must live with austerity. This in a fiat currency system. But it’s actually far worse than that. So much that is truly against our interests is being perpetrated by government before it ever sees the official light of day. Only activist groups paying attention seem to know this and really have our backs. Parsons’ article below walks us through the massive health threat to us that the 5G rollout represents. Living in France as I do, having made the annual summer trek to our holiday watering hole, I’ve been remarking how many 5G towers have been erected in this rural vicinity. Which mirrors what I’ve noticed in my corner of Paris. They’re actually quite ubiquitous if you’re aware of them. Even the ones that have been dressed up in green to ‘blend in’. So given all the dangers Parsons documents, why are they there in the first place? Why have they been installed BY OUR GOVERNMENTS behind our backs, without our knowledge, without our informed consent? Regulation coming well after the fact is merely papering over the cracks, convincing people that government is here to help when, in reality, they permitted the problem to take hold in the first place, no doubt at the behest of Big Telecom, Big Pharma, Big Whatever It Is. 5G needs to be banned outright, not introduced and regulated. We can stop worrying about Social Security. No one will live long enough to collect it. But health care will absorb the national income. In fact, the myth that government protects the people (through regulation, for example) has long been cultivated by the EU and is still managing to fool people, especially on the Left (you know the EU – that unelected, tiny Sovietic-style group of people who make decisions for over 500 million people). Ask the people of Greece who have been systematically shafted by the EU elites and their supposedly ‘Left’ government (ER has published massively on this). Ask the people of Italy, whose own young citizens are leaving in droves, whose own people can’t take any more illegal immigration that the EU unreservedly supports. Ask the people of my home town (Hull) who saw their local economy shrivel as fishing stocks were given to Iceland way back in the ’70s when Britain joined Europe. Well, they were asked and voted overwhelmingly for Brexit. Free Trade deals: free trade deals automatically supersede the national laws of any signatory country. So corporations under these deals have a right to take a chunk of our tax money in secret courts – without our knowledge – for loss of profit that our national laws (minimum wage, food safety, environmental, etc.) would otherwise impose on them. Clinton gave North Americans NAFTA, Obama was a huge cheerleader for TPP. Ah, those Democrats. Mexico has been shafted economically, American jobs were lost – by design, and Canadians were the biggest losers in the private corporate courts although I doubt any of my Canadian friends know that. Europeans have been fighting just as hard against the TTIP, too. Here’s how free trade deals function like the undemocratic European Superstate, and why the Left is totally misguided in failing to support Brexit. Natural cures: that Big Pharma medicines are designed to only treat symptoms, not create cures, and make huge profits for the corporations isn’t news. But promising natural cures for diseases are suppressed under pressure on our governments by Big Pharma. A case in point is the injectable GcMAF protein, hailed as a possible cure for cancer, produced by a Guernsey company (I myself was a client), which got shut down on spurious charges of financial impropriety – quietly. The murder of Dr. Jeff Bradstreet, who was obtaining a cure rate of 80% for autism (this website page was removed a few months after his murder), was likely connected to GcMAF as the search warrant for this product, put online, listed the protein as a target. It is believed other doctors may have mysteriously died in relation to using this protein with their patients. Surveillance: Let TruePublica describe for us the massive illegal surveillance state the UK has become, quite unknown to its citizens (see the section ‘Government Surveillance’). I also recommend the same article for the section titled State propaganda – manipulating minds, controlling the internet for equally shocking revelations as to how government propaganda can shape what we see. Glenn Greenwald has revealed how GCHQ do surveillance that the NSA isn’t allowed to do on its own US citizens. Lies and Fake News: Skripals, anyone? White Helmets? Assad chemically poisoning his own citizens? Putin behind the Trump elections? Russia ‘invading’ Crimea and Donbas (instead of the US engineering a takeover of the Ukraine’s too Russia-friendly Yanukovych government)? Examine the thread of any so-called ‘terrorist’ attack or mass shooting and there will be too many suppressed details by the MSM, suppressed because they contradict the simplistic Establishment narrative. The media lies abound, as do reasonable suspicions of their actually being false flag attacks (remember the original Gladio stay behind movement? A big NATO false-flag scam perpetrated on us). And of course, it’s the citizens who are having to protect themselves against impossibly censored internet content, effectively destroying the alternative media such as this. See the EU’s articles 11 and 13, and how populist UKIP party leader Gerard Batten just days ago managed to lobby for an actual vote for these measures to be implemented instead of just pushing them through in complete secrecy, as was the EU’s original intention. Geoengineering: If you haven’t been looking up at your skies lately, then you really need to. I’ll post a few photos through the rest of this piece (from the Alps, Paris and Manchester), and recommend two great monographs by Elana Freeland (here and here), a respected researcher in this field. JFK talked about controlling the weather by 2025 in an address to the UN. This type of activity has been going on in one form or another for a long time, but it’s really ramped up in the last 3 years as these photos show. 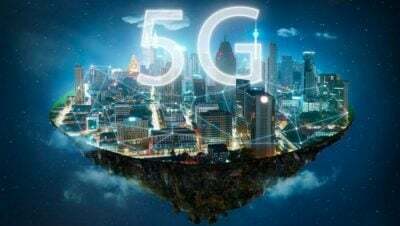 What they’re putting up there is truly frightening, a real public health risk and which, some believe quite plausibly, is designed to interact in our bodies with the 5G ‘electrosmog’ technology we’re facing to advance an AI agenda. Vaccines: Where to begin with this? Evidence of rates of diseases declining before vaccines (for certain ones) were even introduced? Evidence of harmful additives (or adjuvants) in typical human vaccines that cause autism and other neurological problems? A push by our governments to compulsorily vaccinate more and more of us with the threat of loss of money or loss of employment? Evidence of viral shedding CAUSING these diseases by those already vaccinated? And the crème de la crème: that the vaccine companies have been protected against prosecution by the US government despite the vast number of cases of brain injured children? Do you remember being around 8 years of age and feeling excited because somebody in the neighborhood got measles? You knew it was your turn. It was a rite of passage, not quite the same thing as turning 13, but a rite nonetheless. And you got guaranteed lifelong immunity. It was a celebration, not a cause for panic. Here’s an article on the CDC’s conflict of interest, and how it peddles lies to scare us into vaccination, and how the media lies to accomplish the same thing. And here’s an article on how vaccinations have become gene therapy using synthetic genes with unknown consequences for the human recipient. Forced mass migration: Another biggie. The evidence is pretty overwhelming that this is a socially-engineered phenomenon, not simply through illegal western-led wars but also through political machination and propaganda – without asking our permission once more – by the political class and their elite backers. Here I’m thinking about statements made by Peter Mandelson, a Fabian former Labour minister under Blair and close friend of the Rothschilds (who have demonstrated their support for mass migration through their mouthpiece, The Economist), and Peter Sutherland, former Goldman Sachs and UN bigshot. The nation state was always the target for extinction, with migration being the way to do it. Soros’ involvement with this phenomenon is amply documented. The British state may have even been lying, through fake statistics, as to how many migrants have come into the UK and what the total population currently stands at. Brexit has not yet happened, tellingly. Glyphosates & pesticides: Enough has already been written about these topics, but suffice it to say that the EU has dragged its feet on protecting its citizens against this, despite the evidence against it. Activists have had to fight hard. Here’s an example of authorities in the UK colluding with Monsanto. The decision to renew or not to renew the glyphosate licence in the EU just keeps dragging on with no majority verdict reached, while the EU itself has voted for longer extensions (up to 10 years!) on its use. Unbelievable. So, to those who believe that government protects us, how can we know what we need protecting against when our governments aren’t even being straight with us about what is happening right under our very noses? We aren’t supposed to know, clearly. And when we do know, when the harm is made official, we have a fight on our hands to protect ourselves. The Left is a pretty low-information group of people. And I ought to know because I used to be one of them. (I no longer subscribe to a ‘side’.) They have their righteous emotions and their ‘shoulds’ (the world SHOULD be this way). But if they did due diligence to the things they believe in, they may want to start playing devil’s advocate and do a little research first, finding out why those actually not-so-horrible little Brexit people want out of the EU, or why people are genuinely angry with forced migration in their neighborhoods and countries, for example. Newsflash: your government is actually NOT protecting you. The perfect symbolism to this is John Pilger calling out UK officials for not attending the World Cup when the England team is about to play in the semi-finals. Do they hate us that much?